Developers Specialties is the Southern California leader in the design, construction and installation of commercial and residential mailbox structures, for postal and private delivery. In addition, we offer mini storage lockers and concierge boxes. We also design, construct and install a diverse line of signage products such as street signs, regulatory traffic signs, way finding signs and entry monument signage. Developers Specialties offers premium custom designs along with a variety of standard designs that are proven favorites. Quality workmanship and personal attention go into each of our projects to ensure customer satisfaction. We take pride in installing on time, getting it right the first time! Our customers include builders, developers, general contractors, architects, property management, municipalities, universities, community associations, individual homeowners and the U.S. Postal Service. 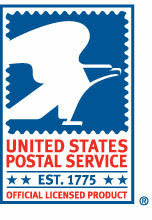 We also provide postal consultation and act as the primary liaison with the U.S. Postal Service. We are an authorized dealer for AF Florence Mailboxes.